The Copacabana Table is decorated with large round perforations on the table top supported on three slender legs. 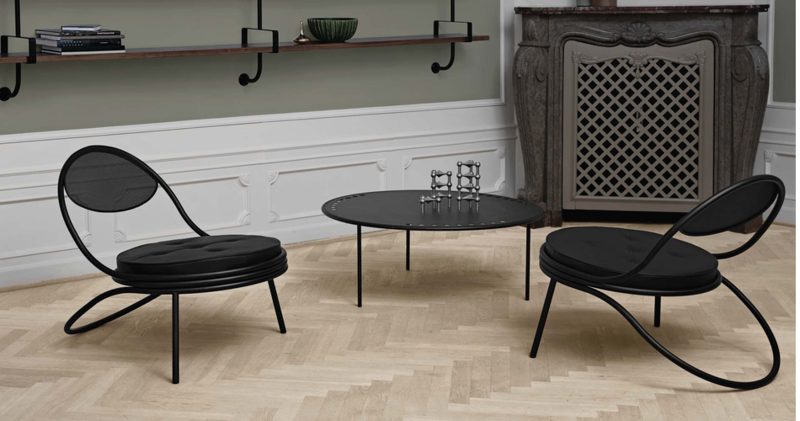 The lounge table is lacquered and available in black. This model was designed by Mathieu Matégot in 1955-1956. Mathieu Matégot’s organic forms and lightness of touch create a sense of joy and the ground breaking and innovative techniques that he applied resulted in unique aesthetics and, above all, contemporary designs. Today, Matégot’s designs are equally fit for the purpose as when they were originally conceived, and his legendary designs are both timeless and classic. Like many of his peers Mategot travelled the world in search of inspiration, techniques and upon return transformed these impressions into his own unique designs and interpretations. Wether it was industrial processes or aesthetics, he always collected and interpreted – he even patented and set up his own production to apply these new technologies into his designs, He was a true innovator of his time!